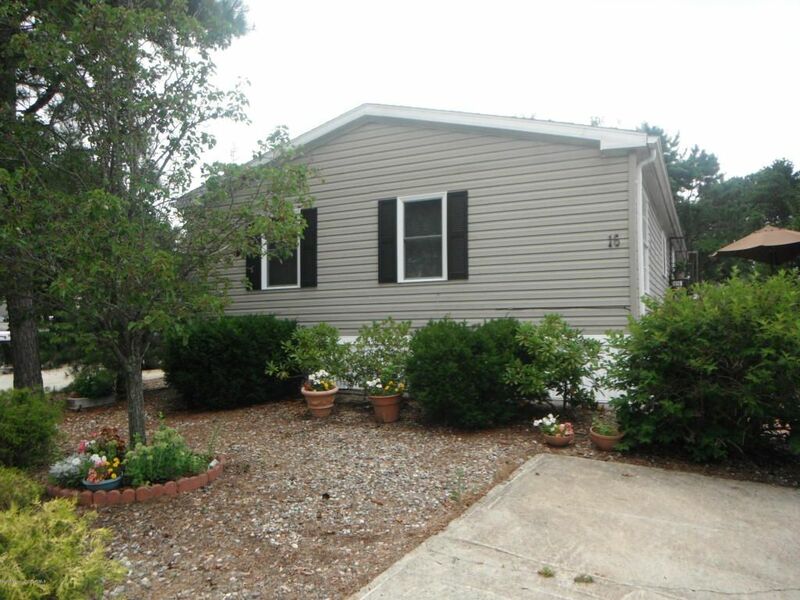 Cozy and large mobile home in treed adult community in downtown Manahawkin. Close to stores, restaurants and beaches. Two bedrooms, 2 baths, kitchen with breakfast bar. Laundry room, living room and dining room. Lovely, quiet and with a Park like setting. Includes, deck, shed and all appliances.